Tundra, Truck, SR5 CREW, Here at WORKTRUX our vehicles are Safety Inspected and Serviced by Qualified Service Technicians. We pride ourselves on offering you a clean and service ready work truck that all you have to do is fill it up and put it to work. These are previously owned or leased vehicle that may have a minor blemish or two but are structurally sound and ready to work. This vehicle can be found only at Birmingham's Work Truck Headquarters WORKTRUX. 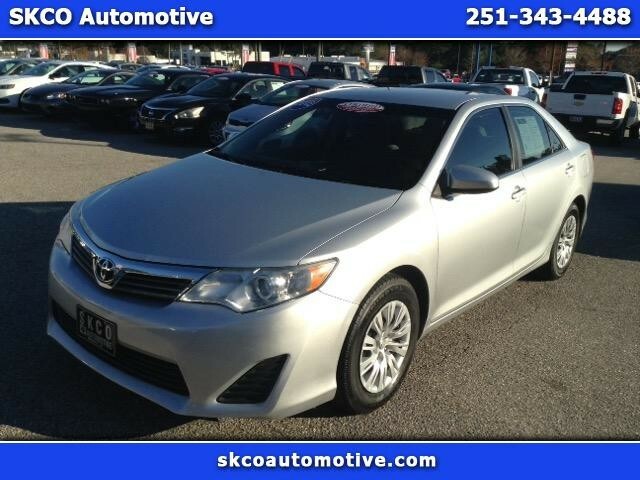 This Camry is a 2-Car Owner, CLEAN CARFAX, vehicle that has been properly maintained by the local Toyota Dealership! It has some minor cosmetic defects but is overall in EXCELLENT condition! If you test drive TODAY, you just may be the owner of it by TONIGHT!!! Call us at 334-864-0852 Be sure to check out our inventory at AlwaysFairMotorCompany.com If you don't see a vehicle that interests you, please let us know what you are looking for and WE WILL FIND IT! Give us a call for more details! This car will be the perfect vehicle for a student or for anyone who does a lot of driving commuting to work. It's a 4-cylinder and it is ABSOLUTELY TERRIFIC on gas! Come on by TODAY for a test drive...you'll be glad you did! 334-864-0852 Be sure to check out our inventory at AlwaysFairMotorCompany.com If you don't see a vehicle that interests you, please let us know what you are looking for and WE WILL FIND IT! Give us a call for more details! 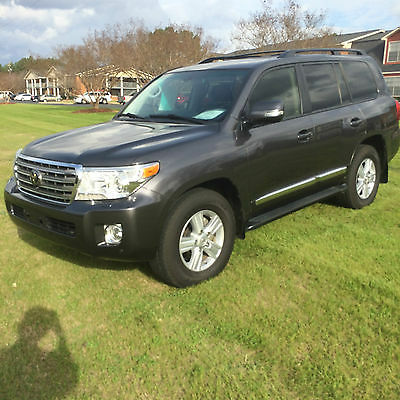 This incredible 2013 Toyota Land Cruiser is up for sale. 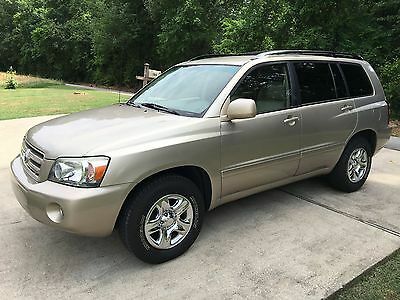 I'll start by saying that the ONLY reason for selling this vehicle is that I found a newer model Land Cruiser that I could not pass up and have already purchased. I really wish I did not need to sell this 2013 but I cannot justify having two of the same model. This Land Cruiser has been a dream to own and drive. If you're familiar with the Land Cruiser family of vehicles, you'll know that this is an extremely rare find considering the year, mileage and price. This vehicle has incredible power and has a cloud like ride. The safety features are top of the line and use next generation technology only found in top end luxury vehicles. This vehicle was never used for towing or driving off-road. It is in excellent shape on the interior and exterior. All service and maintenance was performed regularly and can be made available upon request. Although Toyota Land Cruisers are already the most reliable vehicles on the road, this vehicle comes standard with a manufacturers 60,000 mile drive-train warranty which means you will still be covered for the next 10,000+ miles. I hope you enjoy this Land Cruiser as much as we have. Rav4 is a comfortable, smooth ride, with good power and handling. Good visibility and back-up camera. Bluetooth allows hands-free talking. The cabin is roomy with versatile cargo area. Back seats recline and fold flat. Leather seats are comfortable and stylish. Plenty of head and leg room in the front and back seats. Car is in excellent condition, Very Clean, Still smells like a new car. Well maintained, all maintenance up to date and available to buyer. 27750 miles primarily Highway miles, tires have been rotated every 5k miles and still have about 25K miles of tread according to last Toyota Check Up. 1 owner: Non-smoker. No kids, No pets, No surprises. 6.1" touch screen easy to use with some nice features like live weather radar, navigation with options for traffic alerts and exit options. Bluetooth audio for music and podcasts are an excellent, convenient feature. 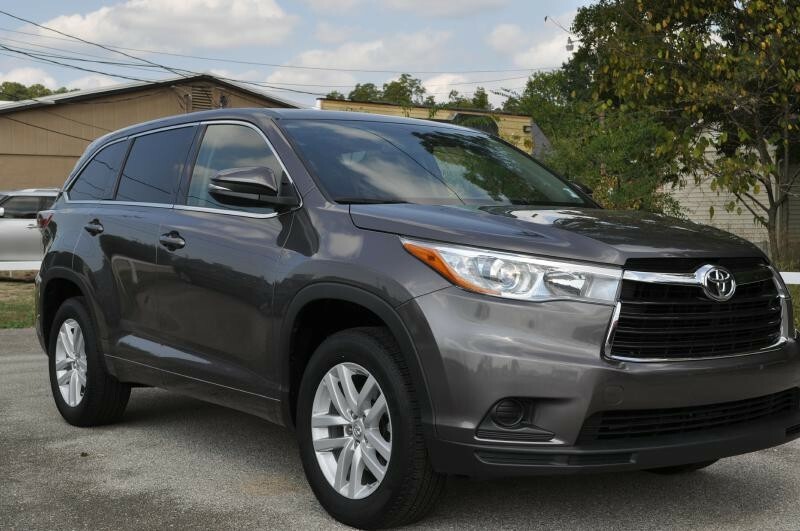 Bottom line: If you are looking for a sporty, roomy, comfortable ride with great gas mileage and top of the line Toyota finishes, this is an SUV worth considering. Closing the deal: Please provide DL for test drive and Ins information if applicable. Payment options include Cash, Cashier's Check, Money Order from local bank. AlpineAutoAuctions.com (800) 525-5082 ? ? ? 2015 Toyota Avalon XLE Premium Vehicle Information VIN: 4T1BK1EB5FU187798 Stock: 43871676AT Mileage: 14,722 Color: Blizzard Pearl Trans: 6-Speed Automatic Engine: 3.5L V6 24V MPG: 21 City / 31 Highway Drivetrain: FWD ? ? 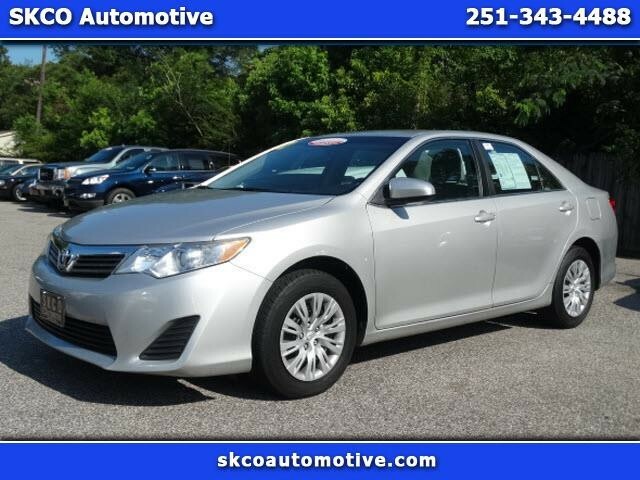 ?Contact Us Options and Standard Features Basic Information VIN Number: 4T1BK1EB5FU187798 Stock Number: 43871676AT Model Year: 2015 Make: Toyota Model: Avalon Style Name: Sedan XLE Premium Vehicle Trim: XLE Premium Body Type: Sedan Vehicle Type: Sedan Interior Color: Light Gray Exterior Color: Blizzard Pearl Engine Engine Description: 3.5L V6 24V Fuel Type: Gas Fuel Induction: Sequential MPI Valves Per Cylinder: 4 Aspiration: Normal MPG Automatic City: 21 MPG Automatic Highway: 31 DriveTrain Transmission: 6-Speed Automatic Drive Train Type: FWD Driven Wheels: Front-Wheel Wheels Rims: Painted Aluminum Wheels Spare Rim Type: Steel Suspension Independent Suspension: Four-Wheel Stabilizer Bar: Front And Rear Instrumentation Clock Compass External Temp Low Fuel Level Tachometer Trip Computer Roof and Glass Front Wipers: Variable Intermittent Rear Defogger Sunroof: Express Open/Close Glass Privacy Glass: Light In Car Entertainment Audio System: Siriusxm AM/FM/HD/Satellite Speakers: 8 Antenna Type: Window Grid Seats Drivers: Multi-Level Heating Drivers Height: Power Drivers Lumbar: Power 4-Way Drivers Power: 8 Passenger: Multi-Level Heating Passenger Power: 4 Seating Capacity: 5 Front Seat Type: Bucket Upholstery: Leather Center Armrest: With Pass-Thru Convenience Cruise Control Windows: Power Windows Steering Power: Speed-Proportional Electric Power Steering Steering Adjustment: Tilt And Telescopic Power Mirrors: Power Remote Power Door Locks Center Console: Full With Covered Storage Cupholders: Front And Rear Door Pockets: Driver, Passenger And Rear Overhead Console: Mini With Storage Power Outlets: 3 Remote Trunk Release: Power Seatback Storage: 2 Universal Remote Transmitter Comfort Air Conditioning: Automatic Air Filtration: Interior Air Filtration Trunk Lights: Cargo Area Light Dash Trim: Simulated Wood/Metal-Look Reading Lights: Front And Rear Shift Knob: Leather/Simulated Wood Steering Wheel Trim: Leather Vanity Mirrors: Dual Illuminated Vanity Mirrors Features Bumpers: Body-Colored Door Reinforcement: Side-Impact Door Beam Safety Driver And Passenger Airbag Head Airbags: Curtain 1St And 2Nd Row ABS: 4-Wheel Safety Signal Mirrors: Turn Signal In Mirrors Anti Theft System Brake Assist: Braking Assist Safety Stability Control Safety Locks: Manual Headlights Auto Delay: Auto Delay Off Headlights Dusksensor: Dusk Sensing Daytime Running Light Front Headrests: Manual Adjustable Engine Immobilizer Turning Circle: 37.4 Door Reinforcement: Side-Impact Door Beam Rear Headrests: 3 Rear Center Seatbelt: 3-Point Belt Side Airbag Stability Control NHTSA Side Impact Front Grade: Excellent NHTSA Side Impact Back Grade: Excellent Doors Rear Door Type: Trunk Side Door Type: Conventional Dimensions Front Head Room: 37.6 Inches Front Hip Room: 55.1 Inches Front Shoulder Room: 58.2 Inches Front Leg Room: 42.1 Inches Rear Head Room: 37.0 Inches Rear Hip Room: 54.6 Inches Rear Leg Room: 39.2 Inches Rear Shoulder Room: 57.0 Inches Luggage Capacity: 16 Cu.Ft. Length: 195.3 Inches Width: 72.2 Inches Height: 57.5 Inches Wheelbase: 111.0 Inches Ground Clearance: 5.5 Inches Max Gross Vehicle Weight: 4,590 Lbs. Curb Weight: 3,505 Lbs. Contact Ask for:AlpineAutoAuctions.com Contact: ?Contact Us Primary Phone:(800) 525-5082 Message Our EBay reputation is very important to us, we simply ask any customer that is interested in purchasing vehicles, to thoroughly communicate their specific needs to our sales team. We kindly ask our customers to give us a window of opportunity prior to posting any negative comments. We are not partners or affiliated with any transporters (we only recommend specific companies that have produced positive results in the past). We strongly recommend hiring licensed and bonded transportation companies for your shipping needs. We are dedicated to producing the best experience possible for our EBay customers. We want to thank you for considering our services and look forward to possibly serving you again in the near future. We offer the best prices world wide. For any urgent concerns please contact our EBay support teamPlease take a few minutes to read all of our FAQ's. It is very important that you read through them to avoid any surprises. 1. Are you a dealer or private seller? We are a licensed and bonded dealer and have been in business for over 20 years. We also help private sellers re-market and or sell their vehicles for them. 2.Can I pick up the vehicle and pay for it myself at an Alpine holding facility?Yes, many of our customers happen to choose this option if they are located near a particular facility. Therefore, if you decide to exercise the option to pay at our holding facility with a bank check you must address ALL refunds with that facility. 3.What happens if I arrive at the facility and I see that the vehicle is missing parts, its not what it seemed to be in the images, it was tampered with, keys are missing etc.? Do not accept the vehicle or allow it past the gate. Once it leaves the facility we are unable to file a claim with the seller. We advertise all of our vehicles to the best of our ability. Our damaged vehicle selection is sold on an AS IS basis. If for any reason you receive a vehicle that is completely inaccurate from its description (ie, VIN, Run & Drive, Gasoline or Diesel, Clean or Salvage Title) please contact our offices and we will assist you in an exchange or a refund depending on which payment method was applied. As far as keys are concerned, we do not guarantee keys once the vehicle leaves our facility. For those customers that retrieve the vehicles from the facility, please be aware once the gate release has been issued, and the vehicle has left the yard, NO REFUNDS will be accepted. 4. Where is the vehicle?Vehicles are stored at an Alpine in Texas and facilities across the nation that store and/or resell vehicles for our company thru wholesale auctions that we purchase in bulk from rental fleets, and insurance companies. Make sure you check vehicle city, state, zip and lot location prior to placing any offers, good chances are that vehicles are in transit, stored at another location, or still at the facility in which they were purchased across the nation. It is important to check or ask our team for the City, State, Zip code and lot location are on each individual listing. 5. If I receive a vehicle and I am unhappy with it, will you assist in reselling?Yes, we will be more than willing to assist in finding an auction facility near your location to resell your vehicle. We have a global audience bidding on these vehicles. Our team will help you find a replacement as well, if needed. Please understand our descriptions are brief and in most cases we are unable to physically inspect all of them. We urge all buyers to inspect vehicles themselves or hire a 3rd party inspection service before purchasing a vehicle. 6. What form of payments do you accept?We DO NOT accept PayPal for full and final payment. We only accept official bank checks at our location, and our storage facilities. Please do not bring cash for final payment. We also accept, cash direct bank deposits or wire transfers. Bank wire instructions are located on your final invoice. Call us 800-525-5082 or email us . The balance must be paid with cashier’s check, bank check, direct cash deposit in our bank account or wire transfer within two business days of winning the vehicle 7. How long will it take to get my title? Typically takes about 10 to 15 business days to be mailed after vehicle has been relist or has left our location. 8. How do I get possession of the vehicle? The Buyer is responsible for pickup or shipping of the vehicle from our storage facility. If you wish to have it shipped using a service, we will gladly help you with the process. *Note: The vehicle location may vary. The exact address will be disclosed once the vehicle is secure with a deposit or full and final payment is completed. Terms By bidding/offering on a vehicle in our inventory, you are agreeing to all of our terms, which will always be ever changing as we address all of our customers needs and concerns. Please note: It is very important you read our terms before bidding or placing an offer on any of our vehicles. Payment Winning bidder or highest offer, must contact us within 24 hours of auction end, to make arrangements for payment at that time. A 10% non-refundable deposit is due within 24 hours of the auction end. The remaining balance is due within 48 hours of auction end. Payments must be made by wire transfer, direct deposit or certified check. Credit card payments will not be accepted. NO EXCEPTIONS. If no contact is made within 24 hours, we reserve the right to re-list the vehicle and sell it to the next high bidder, or sell it otherwise. Make sure if financing arrangements are made prior to bidding. or placing offers Shipping and Pickup Buyer is responsible for pickup or shipping of the vehicle and all costs associated with the pickup or shipping of the vehicle. If you wish to have it shipped using a service, we will gladly assist with the process. Payment MUST be made PRIOR to picking up the vehicle or simultaneously at one of our facilities. W require full payment within 48 hours after closing by wire if you are not picking up the vehicle at the facility. NO VEHICLE MAY BE DRIVEN OFF THE FACILITY. NO EXCEPTIONS!! *Note: There is a $75 daily storage fee charged by our holding facility for any vehicle not picked up within 72 hours of auction end. Please Do Not assume anything not listed is included. 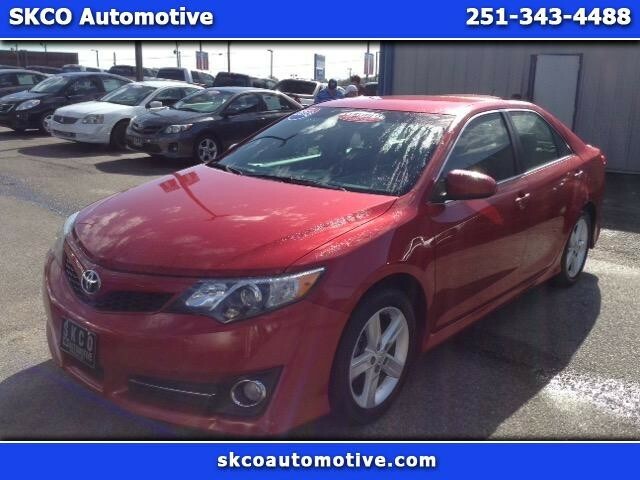 We strive to find our customers the highest quality vehicles at the best available prices. Bidders We reserve the right to end any listing if the vehicle is no longer available for sale. Please do not bid/buy unless you are serious about owning this vehicle. All non-paying bidders/buyers will be reported to eBay, and a negative strike will go against the buyer as the result of an unpaid item being filed. PLEASE ONLY BID/OFFER WHAT YOU ARE WILLING TO PAY. If the reserve is not met or the vehicle is not sold, we reserve the right to contact the next highest bidder to offer a second chance offer. Vehicle Inspections We strongly encourage all bidders/buyers to hire a third-party inspection service or inspect the unit themselves before purchasing. Placing a Bid/offer: Your bid/offer constitutes a legally binding contract to purchase this vehicle. Please do not bid/offer if you're not seriously interested or financially able to purchase this vehicle. Please read eBay's User Agreement AlpineAutoAuctions.com reserves the right to, Obtain and verify the registered information of all users who bid on this auction. Cancel any and all bids at our discretion, or end the auction early if necessary. Bidders Age: You must be 18 years of age or older to Bid. If you place a bid/offer before the last 12-hour period of the auction: You may retract that bid/offer before that last 12-hour period but only for exceptional circumstances. You will not be allowed to retract that bid during the last 12-hour period of the auction. If you place a bid/offer during the last 12-hour period of the auction: You will be allowed to retract the bid/offer for exceptional circumstances but only if you do so within one hour after placing the bid/offer. 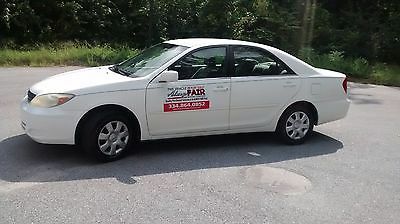 Representations and Warranties made by seller: This vehicle is being sold "as is where is ALL SALES ARE FINAL" Taxes and Registration fees: Out of state buyers are responsible for all state, county, city taxes and fees, as well as title service fees in the state that the vehicle will be registered. All taxes and fees must be paid in full in order for vehicle to be titled and registered. Shipping & Delivery: All shipping charges are buyer's responsibility. AlpineAutoAuctions.com may help with shipping arrangements but will not be responsible in any way for claims arising from shipping damage! Licensed Carriers are generally insured for $3,000,000.00. We assume no responsibility for damages incurred after the vehicle leaves our showroom. All shipping arrangements are provided by AlpineAutoAuctions.com as a courtesy. We are not affiliated with any carrier. Any claims or other communication regarding shipment of vehicles will be between you and the shipper, not with AlpineAutoAuctions.com. The amount of time it takes for delivery is dependent on the carrier, but is generally 7-14 days from the date the vehicle is picked up from our facility until it is delivered to your destination. Verify with the shipper for an Estimate Time of Arrival to be sure. Finalizing your Purchase: AlpineAutoAuctions.com will contact the successful high bidder by e-mail after the auction closes. Successful high bidder MUST communicate with our sales team at AlpineAutoAuctions.com by email or by phone 800-525-5082 with in 24 hours of the auction ending to make payment and shipping arrangements for the vehicle. If we can not confirm your intension to complete the transaction, AlpineAutoAuctions.com reserves the right to relist the vehicle or sell it to another qualified buyer. In order to secure the vehicle, Successful bidder (BUYER) must within 24 hours of bid/offer closing send the Seller a Deposit in the amount of 10% by bank certified, direct deposit or wire transfer. Within 48 hours of bid/offer closing, Buyer must send balance of funds by bank wire transfer, direct deposit or bank certified funds to Seller. At time of sending initial deposit, Buyer MUST fax copy of their State issued valid Driver License. Furthermore, before said vehicle is released for shipment to Buyer, all other Sale related and title related paperwork must be signed and returned complete to Seller. All invoices and disclaimers must be signed prior to releasing the vehicle and title.Good Luck and thank you for choosing AlpineAutoAuctions.com Copyright © 2017 Auction123 - All rights reserved. - Disclaimer +- Auction123 (a service and listing/software company) and the Seller has done his/her best to disclose the equipment/condition of this vehicle/purchase. However, Auction123 disclaims any warranty as to the accuracy or to the working condition of the vehicle/equipment listed. The purchaser or prospective purchaser should verify with the Seller the accuracy of all the information listed within this ad. Selling a Vehicle? Create Professional Listings Fast and Easy. Click Here! AlpineAutoAuctions.com (800) 525-5082 ? ? ? 2015 Toyota Tundra SR5 5.7L V8 Vehicle Information VIN: 5TFAW5F13FX422814 Stock: 37736446AT Mileage: 48,920 Color: Magnetic Gray Metallic Trans: R Engine: 5.7L V8 32V MPG: 13 City / 17 Highway Drivetrain: Four by Four Description Damage: FRONT END RUN & DRIVES: Engine Starts Verified ? ? 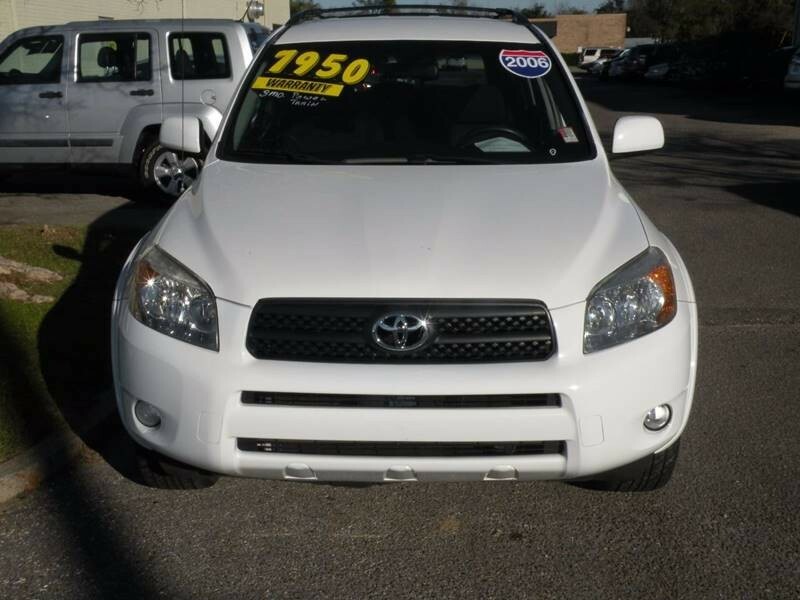 Description Damage: FRONT END RUN & DRIVES: Engine Starts Verified ?Contact Us Options and Standard Features Basic Information Stock Number: 37736446AT VIN Number: 5TFAW5F13FX422814 Make: Toyota Model: Tundra Model Year: 2015 Exterior Color: GRAY Body Type: CREW PIC Engine MPG Automatic City: 13 MPG Automatic Highway: 17 Engine Description: 5.7L V8 32V Fuel Induction: Sequential MPI Valves Per Cylinder: 4 Aspiration: Normal DriveTrain 4WD Type: Part-Time Differential Limited Slip: Brake Actuated Driven Wheels: Four-Wheel Locking Hubs: Auto Transfer Case: Electronic Transmission: R Wheels Spare Rim Type: Steel Drive Train Type: Four By Four Suspension Independent Suspension: Front Stabilizer Bar: Front Instrumentation Clock External Temp Low Fuel Level Tachometer Roof and Glass Front Wipers: Variable Intermittent Privacy Glass: Deep Rear Defogger In Car Entertainment Antenna Type: Fixed Audio System: Siriusxm AM/FM/HD/Satellite Seats Center Armrest Folding: Fold-Up Cushion Convenience Cruise Control Cupholders: Front And Rear Door Pockets: Driver, Passenger And Rear Power Outlets: 3 Steering Power: Speed-Proportional Power Steering Power Mirrors: Power Remote Power Door Locks Windows: Power Windows Comfort Air Filtration: Interior Air Filtration Door Trim: Metal-Look Reading Lights: Front And Rear Features Aux Engine Cooler: Regular Duty Aux Transmission Cooler: Regular Duty Door Reinforcement: Side-Impact Door Beam Safety NHTSA Passenger Grade: Good NHTSA Driver Grade: Good NHTSA Side Impact Front Grade: Excellent NHTSA Side Impact Back Grade: Excellent Turning Circle: 44 ABS: 4-Wheel Head Airbags: Curtain 1St And 2Nd Row Brake Assist: Braking Assist Safety Locks: Manual Daytime Running Light Engine Immobilizer Front Headrests: Manual Adjustable Rear Headrests: 3 Rear Center Seatbelt: 3-Point Belt Safety Stability Control Driver And Passenger Airbag Side Airbag Stability Control Door Reinforcement: Side-Impact Door Beam Towing and Hauling Trailer Hitch Doors Liftgate Window: Power Rear Door Type: Tailgate Side Door Type: Conventional Dimensions Front Head Room: 39.7 Inches Front Hip Room: 62.6 Inches Front Shoulder Room: 65.7 Inches Front Leg Room: 42.5 Inches Rear Head Room: 38.9 Inches Rear Hip Room: 60.4 Inches Rear Leg Room: 42.3 Inches Rear Shoulder Room: 65.5 Inches Length: 228.9 Inches Width: 79.9 Inches Height: 76.2 Inches Wheelbase: 145.7 Inches Max Gross Vehicle Weight: 7,200 Lbs. Contact Ask for:AlpineAutoAuctions.com Contact: ?Contact Us Primary Phone:(800) 525-5082 Message Our EBay reputation is very important to us, we simply ask any customer that is interested in purchasing vehicles, to thoroughly communicate their specific needs to our sales team. We kindly ask our customers to give us a window of opportunity prior to posting any negative comments. We are not partners or affiliated with any transporters (we only recommend specific companies that have produced positive results in the past). We strongly recommend hiring licensed and bonded transportation companies for your shipping needs. We are dedicated to producing the best experience possible for our EBay customers. We want to thank you for considering our services and look forward to possibly serving you again in the near future. We offer the best prices world wide. For any urgent concerns please contact our EBay support teamPlease take a few minutes to read all of our FAQ's. It is very important that you read through them to avoid any surprises. 1. Are you a dealer or private seller? We are a licensed and bonded dealer and have been in business for over 20 years. We also help private sellers re-market and or sell their vehicles for them. 2.Can I pick up the vehicle and pay for it myself at an Alpine holding facility?Yes, many of our customers happen to choose this option if they are located near a particular facility. Therefore, if you decide to exercise the option to pay at our holding facility with a bank check you must address ALL refunds with that facility. 3.What happens if I arrive at the facility and I see that the vehicle is missing parts, its not what it seemed to be in the images, it was tampered with, keys are missing etc.? Do not accept the vehicle or allow it past the gate. Once it leaves the facility we are unable to file a claim with the seller. We advertise all of our vehicles to the best of our ability. Our damaged vehicle selection is sold on an AS IS basis. If for any reason you receive a vehicle that is completely inaccurate from its description (ie, VIN, Run & Drive, Gasoline or Diesel, Clean or Salvage Title) please contact our offices and we will assist you in an exchange or a refund depending on which payment method was applied. As far as keys are concerned, we do not guarantee keys once the vehicle leaves our facility. For those customers that retrieve the vehicles from the facility, please be aware once the gate release has been issued, and the vehicle has left the yard, NO REFUNDS will be accepted. 4. Where is the vehicle?Vehicles are stored at an Alpine in Texas and facilities across the nation that store and/or resell vehicles for our company thru wholesale auctions that we purchase in bulk from rental fleets, and insurance companies. Make sure you check vehicle city, state, zip and lot location prior to placing any offers, good chances are that vehicles are in transit, stored at another location, or still at the facility in which they were purchased across the nation. It is important to check or ask our team for the City, State, Zip code and lot location are on each individual listing. 5. If I receive a vehicle and I am unhappy with it, will you assist in reselling?Yes, we will be more than willing to assist in finding an auction facility near your location to resell your vehicle. We have a global audience bidding on these vehicles. Our team will help you find a replacement as well, if needed. Please understand our descriptions are brief and in most cases we are unable to physically inspect all of them. We urge all buyers to inspect vehicles themselves or hire a 3rd party inspection service before purchasing a vehicle. 6. What form of payments do you accept?We DO NOT accept PayPal for full and final payment. We only accept official bank checks at our location, and our storage facilities. Please do not bring cash for final payment. We also accept, cash direct bank deposits or wire transfers. Bank wire instructions are located on your final invoice. Call us 800-525-5082 or email us . The balance must be paid with cashier’s check, bank check, direct cash deposit in our bank account or wire transfer within two business days of winning the vehicle 7. How long will it take to get my title? Typically takes about 10 to 15 business days to be mailed after vehicle has been relist or has left our location. 8. How do I get possession of the vehicle? The Buyer is responsible for pickup or shipping of the vehicle from our storage facility. If you wish to have it shipped using a service, we will gladly help you with the process. *Note: The vehicle location may vary. The exact address will be disclosed once the vehicle is secure with a deposit or full and final payment is completed. Terms By bidding/offering on a vehicle in our inventory, you are agreeing to all of our terms, which will always be ever changing as we address all of our customers needs and concerns. Please note: It is very important you read our terms before bidding or placing an offer on any of our vehicles. Payment Winning bidder or highest offer, must contact us within 24 hours of auction end, to make arrangements for payment at that time. A 10% non-refundable deposit is due within 24 hours of the auction end. The remaining balance is due within 48 hours of auction end. Payments must be made by wire transfer, direct deposit or certified check. Credit card payments will not be accepted. NO EXCEPTIONS. If no contact is made within 24 hours, we reserve the right to re-list the vehicle and sell it to the next high bidder, or sell it otherwise. Make sure if financing arrangements are made prior to bidding. or placing offers Shipping and Pickup Buyer is responsible for pickup or shipping of the vehicle and all costs associated with the pickup or shipping of the vehicle. If you wish to have it shipped using a service, we will gladly assist with the process. Payment MUST be made PRIOR to picking up the vehicle or simultaneously at one of our facilities. W require full payment within 48 hours after closing by wire if you are not picking up the vehicle at the facility. NO VEHICLE MAY BE DRIVEN OFF THE FACILITY. NO EXCEPTIONS!! *Note: There is a $75 daily storage fee charged by our holding facility for any vehicle not picked up within 72 hours of auction end. Please Do Not assume anything not listed is included. We strive to find our customers the highest quality vehicles at the best available prices. Bidders We reserve the right to end any listing if the vehicle is no longer available for sale. Please do not bid/buy unless you are serious about owning this vehicle. All non-paying bidders/buyers will be reported to eBay, and a negative strike will go against the buyer as the result of an unpaid item being filed. PLEASE ONLY BID/OFFER WHAT YOU ARE WILLING TO PAY. If the reserve is not met or the vehicle is not sold, we reserve the right to contact the next highest bidder to offer a second chance offer. Vehicle Inspections We strongly encourage all bidders/buyers to hire a third-party inspection service or inspect the unit themselves before purchasing. Placing a Bid/offer: Your bid/offer constitutes a legally binding contract to purchase this vehicle. 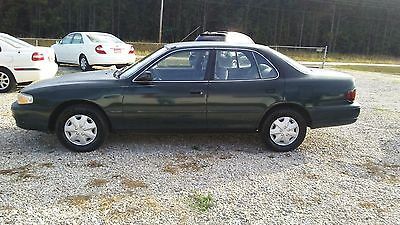 Please do not bid/offer if you're not seriously interested or financially able to purchase this vehicle. Please read eBay's User Agreement AlpineAutoAuctions.com reserves the right to, Obtain and verify the registered information of all users who bid on this auction. Cancel any and all bids at our discretion, or end the auction early if necessary. Bidders Age: You must be 18 years of age or older to Bid. If you place a bid/offer before the last 12-hour period of the auction: You may retract that bid/offer before that last 12-hour period but only for exceptional circumstances. You will not be allowed to retract that bid during the last 12-hour period of the auction. If you place a bid/offer during the last 12-hour period of the auction: You will be allowed to retract the bid/offer for exceptional circumstances but only if you do so within one hour after placing the bid/offer. 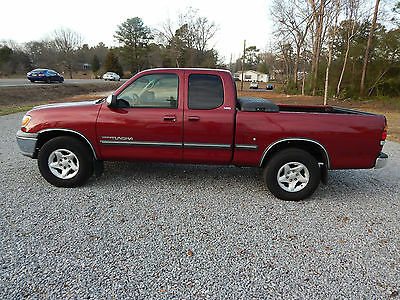 Representations and Warranties made by seller: This vehicle is being sold "as is where is ALL SALES ARE FINAL" Taxes and Registration fees: Out of state buyers are responsible for all state, county, city taxes and fees, as well as title service fees in the state that the vehicle will be registered. All taxes and fees must be paid in full in order for vehicle to be titled and registered. Shipping & Delivery: All shipping charges are buyer's responsibility. AlpineAutoAuctions.com may help with shipping arrangements but will not be responsible in any way for claims arising from shipping damage! Licensed Carriers are generally insured for $3,000,000.00. We assume no responsibility for damages incurred after the vehicle leaves our showroom. All shipping arrangements are provided by AlpineAutoAuctions.com as a courtesy. We are not affiliated with any carrier. Any claims or other communication regarding shipment of vehicles will be between you and the shipper, not with AlpineAutoAuctions.com. The amount of time it takes for delivery is dependent on the carrier, but is generally 7-14 days from the date the vehicle is picked up from our facility until it is delivered to your destination. Verify with the shipper for an Estimate Time of Arrival to be sure. Finalizing your Purchase: AlpineAutoAuctions.com will contact the successful high bidder by e-mail after the auction closes. Successful high bidder MUST communicate with our sales team at AlpineAutoAuctions.com by email or by phone 800-525-5082 with in 24 hours of the auction ending to make payment and shipping arrangements for the vehicle. If we can not confirm your intension to complete the transaction, AlpineAutoAuctions.com reserves the right to relist the vehicle or sell it to another qualified buyer. In order to secure the vehicle, Successful bidder (BUYER) must within 24 hours of bid/offer closing send the Seller a Deposit in the amount of 10% by bank certified, direct deposit or wire transfer. Within 48 hours of bid/offer closing, Buyer must send balance of funds by bank wire transfer, direct deposit or bank certified funds to Seller. At time of sending initial deposit, Buyer MUST fax copy of their State issued valid Driver License. Furthermore, before said vehicle is released for shipment to Buyer, all other Sale related and title related paperwork must be signed and returned complete to Seller. All invoices and disclaimers must be signed prior to releasing the vehicle and title.Good Luck and thank you for choosing AlpineAutoAuctions.com Copyright © 2017 Auction123 - All rights reserved. - Disclaimer +- Auction123 (a service and listing/software company) and the Seller has done his/her best to disclose the equipment/condition of this vehicle/purchase. However, Auction123 disclaims any warranty as to the accuracy or to the working condition of the vehicle/equipment listed. The purchaser or prospective purchaser should verify with the Seller the accuracy of all the information listed within this ad. Selling a Vehicle? Create Professional Listings Fast and Easy. Click Here!